Ohanjanian was a prominent member of the Armenian Revolutionary Federation in the first half of the twentieth century and also served as Prime Minister of the Republic of Armenia. He was born in Akhalkalak (Javakhk, nowadays Georgia) in 1873. After his elementary studies in his birthplace, he moved to Tiflis, where he graduated from the Russian lyceum. He entered medical school in Moscow (1892), where he joined the Armenian Revolutionary Federation, and because of his participation in student agitation, he was left out of the university. He returned to Tiflis, and in 1899 he continued his studies in Lausanne (Switzerland), which he finished in 1902. He returned to Tiflis in 1902, where he became a leading figure of the party, and in 1905 was elected a member of the Eastern Bureau of the A.R.F. He would coordinate the popular action that opposed the confiscation of the properties of the Armenian Church in 1903 and he established relations with Russian and Georgian revolutionaries during the revolutionary movements of Russia in 1905-1907. He played an important role in the crucial A.R.F. Fourth General Assembly (Vienna, 1907), where he helped preserve the unity of the party by stopping extreme-left and extreme-right wing dissension. In 1908 the Czarist government launched a persecution against revolutionary parties, including the A.R.F. Ohanjanian, together with 160 party members, was arrested. He was sentenced to hard labor in Siberia during the infamous “Trial of the Tashnagtsutiun” in 1912. Roubina Areshian, one of the organizers of the failed attempt against Sultan Abdul Hamid in 1905, followed him there and married him. In 1915 Ohanjanian was set free thanks to the intercession of Catholicos Kevork V and Caucasus viceroy Ilarion Vorontsov-Dashkov. He returned to Tiflis and assisted the volunteer battalions as a physician, as well as the refugees from Western Armenia. After the Russian Revolution of 1917, he departed to Petrograd and Kharkov to exhort Armenians to bring their help to the refugees. In May 1918 he participated in the battle of Gharakilise, where his elder son (born from his first marriage to Olga Vavileva) was killed. After the birth of Armenia, Ohanjanian became a member of the Delegation of the Republic presided by Avetis Aharonian to participate in the Peace Conference in Europe. He remained in the West until the beginning of 1920. In October 1919 he was elected member of the A.R.F. Bureau during its Ninth General Assembly held in Yerevan. He returned to the Armenian capital in January 1920 as Minister of Foreign Affairs in the cabinet of Alexander Khatisian. 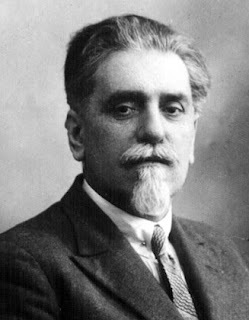 Following the failed Bolshevik uprising of May 1, 1920, Khatisian resigned, and Ohanjanian was charged with forming a new government on May 5, 1920. It was called the Bureau-Government, because all of its members were members of the A.R.F. Bureau. Ohanjanian’s premiership coincided with the most crucial period of the Republic of Armenia, which would practically lead to its demise. The Treaty of Sevres was signed on August 10, 1920, but the following Armeno-Turkish war, started in September, ended with the defeat of the Armenian army. Ohanjanian resigned on November 23, 1920. Simon Vratzian would become the fourth and last prime minister, and ten days later the Soviet regime was established. Ohanjanian, with other A.R.F. leaders, was imprisoned in January 1921 during the wave of terror that followed the Sovietization. The prisoners were saved by the popular rebellion of February 1921. After the end of the rebellion in April 1921, Ohanjanian moved to Zangezur and then to Iran. In the end, he settled in Egypt, where he would live until his death. Besides his political activities as a party member, Ohanjanian, well-aware of the importance of language and culture for the preservation and development of the Armenian identity in the Diaspora, became a founding member of the Hamazkayin Cultural Association in 1928 and its chairman for the next 18 years. He also provided important support for the establishment of the Armenian Lyceum of Beirut in 1930. The former prime minister of the Republic of Armenia passed away on July 31, 1947 in Cairo, where he was buried.